How To Add Stunning Slide Demo And Download Buttons In Blogger | BloggersStand ';-1!=b.indexOf("img.youtube.com")&&(a=' ');d=a+''+p+''+titlex+"
Hello Folks,Today we are here with another stunning Sliding Demo and Download Buttons For your template.In previous post we have talked about How to Add CSS Demo and Download Button With Hover Effect.We have added font awesome icons in buttons to look more beautiful and also suits your blog niche.We have used pure CSS for buttons,you can change the color and font awesome icon on these slide demo and download buttons.However you guys are using another type of buttons with image source etc but these buttons are very unique and load very fast with your page speed.So to grab these Demo and Download Buttons follow the steps mentioned below. See the Pen YwdYOp by BloggersStand (@bloggersstand) on CodePen. To change the background color,font awesome icon color and title text color of the demo and download buttons ,change the above all highlighted hex color code values with your desired color and match with your blog or website colors.you can choose colors from here.Color wheel picker and color code generator. Step 5. Now Search for <head> by Pressing Ctrl+F keys. Step 6.Copy the below Font Awesome Icons stylesheet and paste it just before the <head> tag. Step 7. Now Save your template. Note: If your Blogger template already have font awesome stylesheet the you can skip the step 5 and 6.
whenever you create a new post,just click on HTML tab near compose button in your post editor and choose you place where you want to display these slide buttons in your blogger just copy the code from the below and paste in your template. 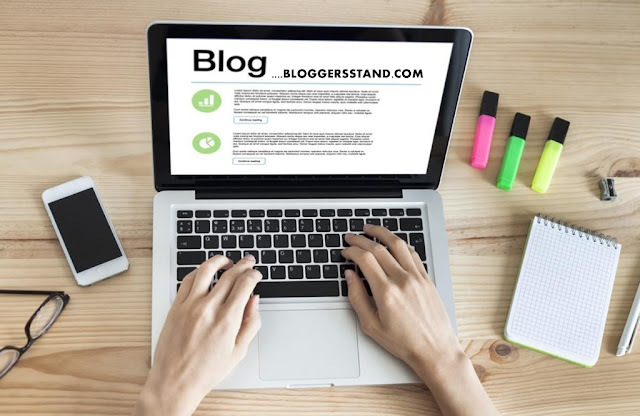 Just replace the www.bloggersstand.com with your desired demo or download item link. learn trick to add Adding display show sliding demo and download buttons with hover effect and fontawesome icons in it.css slide demo download link buttons for blogger template. 0 Comments on "How To Add Stunning Slide Demo And Download Buttons In Blogger" So Far - Post Yours!